For most brides, we think that we can safely say buying the wedding dress is probably what the whole wedding is focused on. Get the dress right and everything else will fall into place. Get it wrong and nothing will be right. That’s why it is so important to find a really good bridal boutique. One that will take its time, cater to your individual requirements and provide you with the wedding gown of your dreams. If your idea of the perfect wedding day is walking down the aisle in a designer dress by Vera Wang or Valentino, Browns Bride should be your first stop. 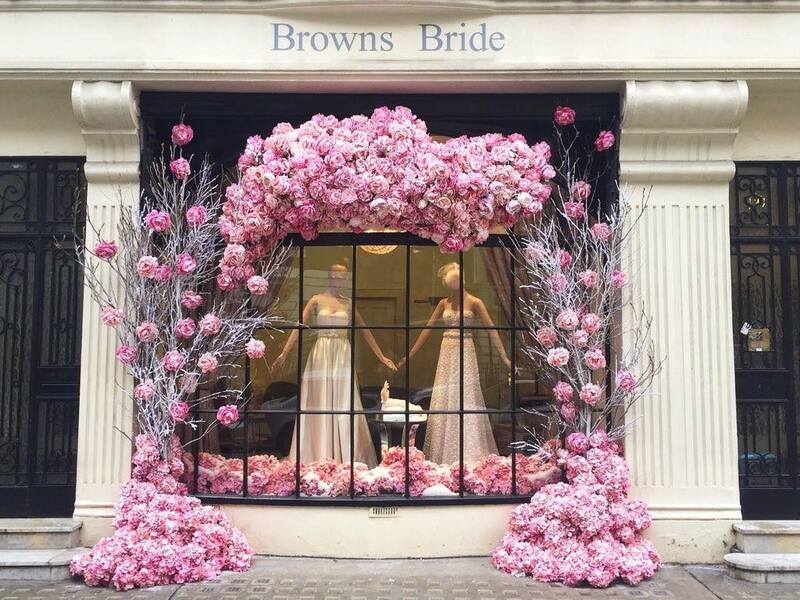 Founded by Caroline Burstein who also started up beauty product brand Molton & Brown before selling it in the early 90’s, Browns Bride is industry-renowned, having occupied front seats at many a designer fashion show. 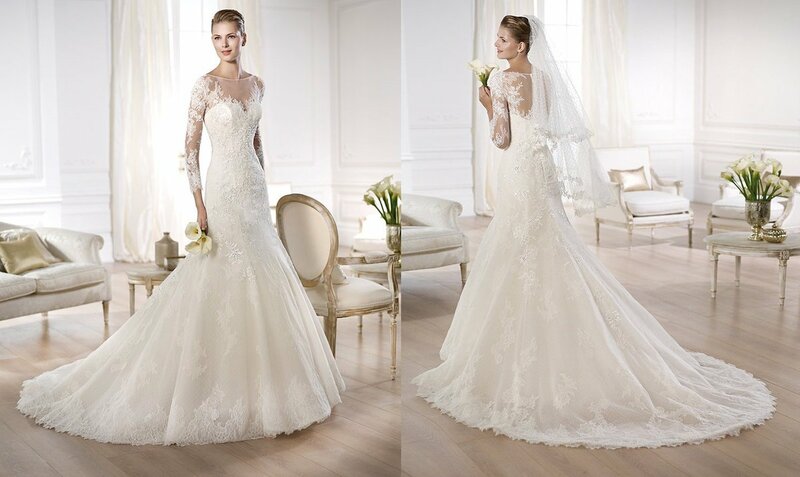 Their dedicated and experienced staff are on hand to find you your perfect dress. Just one look at Alice Temperley’s wedding dresses and you know you are in for a treat. Like being plucked from a page out of a Lewis Carroll novel, ethereal and dreamy fabrics are delicately embellished with romantic florals and give a wistful yet decadent air to all the dresses. Not surprising, as designer Alice says that ‘each dress has to be the perfect blend of functionality and fantasy’. Even the building is stunning with its Union Jack fronted façade. Like the dresses, you can’t miss it. 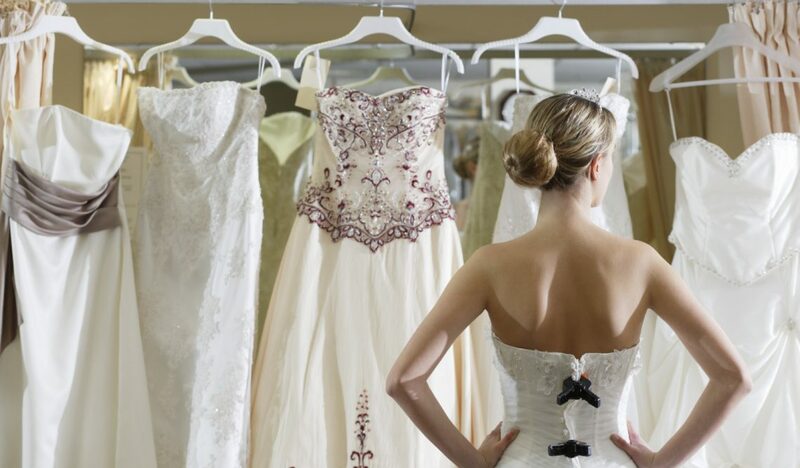 Some brides like to make a day out of actually choosing their wedding dress, and see this part of the process as important as the wedding day itself. Taking their family members and friends along with them, they want to extend the time it takes to make a choice and get as much enjoyment out of the experience as possible. 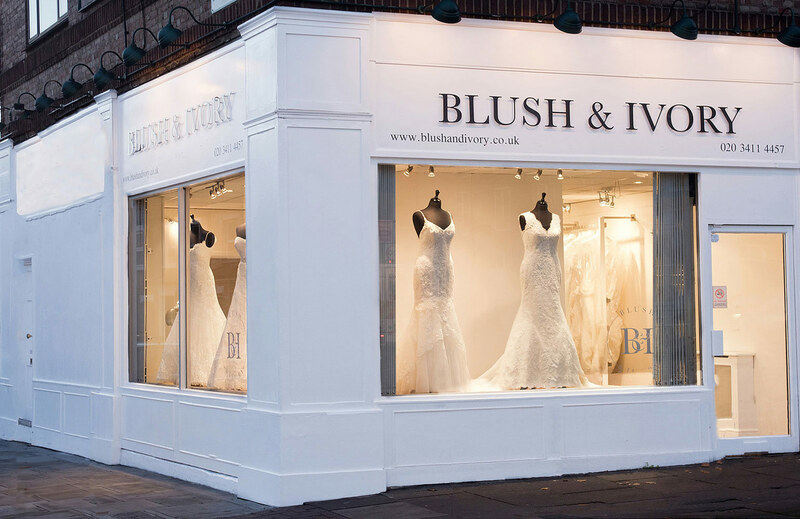 If that’s you, head to Blush & Ivory, where you’ll be greeted with a glass of bubbly on arrival and served strawberries and chocolates throughout your experience. Oh and there’s professional wedding dress advice too. We all love a discount, and if you want designer dresses but at bargain prices, there’s only one place to go – Betty Mccaul. It is situated a little out of town but worth the travel. All of the wedding dresses in stock are up to 65% off of the retail price but just because the prices are low, doesn’t mean the service is substandard. You still get excellent customer service from the dedicated and professional staff who work in the friendly boutique-style store. 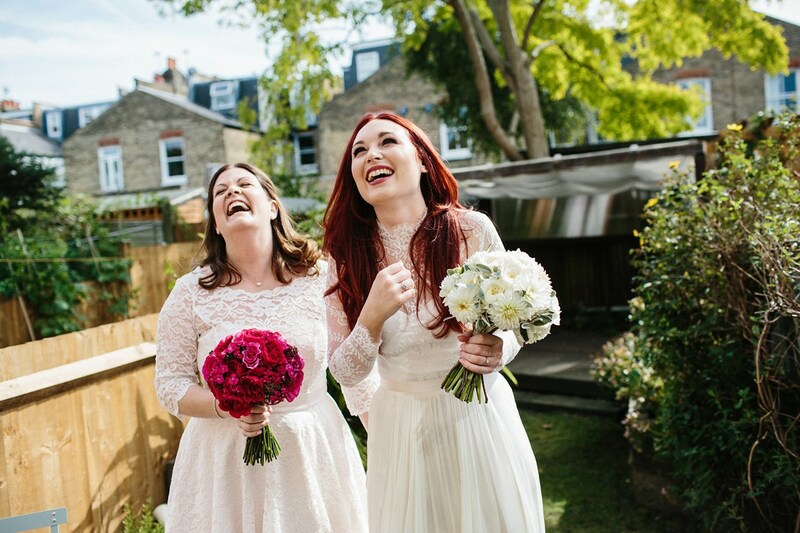 Our final choice is this is a small and friendly bridal boutique, located under the Oxo Tower and specialising in 50’s and 60’s glamour. Think gorgeous full skirts, capped sleeves, pearls and bold florals. The boutique is currently undergoing a revamp and are about to release their new collection of wedding dresses so it’s a very exciting time for them.